It sounds like it could describe Panama! But actually, it is the name of the largest passenger ship in the world and it is too large to transnavigate the Panama Canal. What, then, does it have to do with Panama, you might ask. Well, I will tell you. Pacific Ocean, is a beautiful home with exquisite flowers and gardens. The view of the surrounding country, its lush hills and valleys, and of the lovely Pacific coastline is breathtaking. This is a perfect place to relax–especially if you happen to be the captain responsible for commanding the largest passenger ship in the world. I have gotten to know Captain Rick Sullivan at our church in Coronado and he invited me to visit him in his lovely home. I was eager to sit and learn more about his awesome responsibilities and what all is involved in his job description. off for 10 weeks. 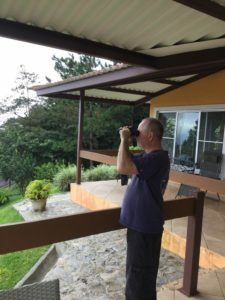 Most of the time, he chooses to spend his time in his Panama home for that 10 weeks off. Here, he is able to relax and enjoy life, balancing his work and leisure in a way that helps him maintain what seems to me a unique attitude toward his position: When asked how he handles the huge task of being at the helm of the largest cruise ship in the world, this modest man immediately refers to his support from a crew that is made up of many different specialists, never pointing to himself or putting himself in an exalted position. The gross tonnage of the ship is 228,021 GT. The length is 361 meters (1,188 feet). 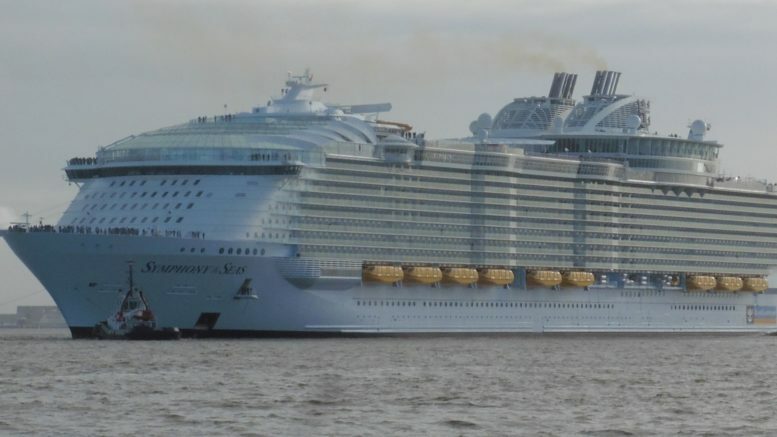 It can carry a total of 8,800 people per voyage, made up of 6,600 passengers and 2,200 crew and support personnel. 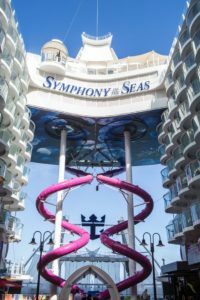 The Symphony of the Seas has been referred to as the Dubai of Cruising–it is a kind of floating resort! It boasts the Ultimate Abyss Slide, a 45-meter (close to 150 feet!) drop in a pink tube at a speed of 9 feet per second–that’s like sliding down a 10-story building! 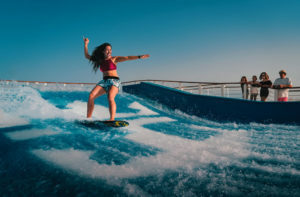 In addition, you will find the largest glow-in-the-dark laser arena in the world, a casino, Ice Skating rinks, work-out facilities, the Flowrider for onboard surfing, pools,theaters, stores, salons, movies, nightclubs and on and on! Of course, there are a slew of world-class restaurants, buffets and bars–everything to keep all of these passengers well-fed and entertained. The care and feeding of the passengers and keeping the digs clean and the supply systems functioning requires those 2,200 employees–figure, that is one service/support person for every 3 passengers! 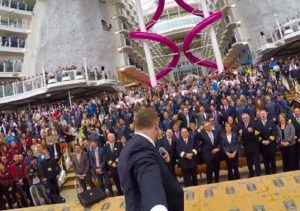 Captain Rick is essentially the CEO of this gigantic company, responsible for all of these 8,800 souls on board 24 hours every day from the time they board the ship until the time they reach their destination and disembark. It is like being the CEO of a company with 8,800 people on their team, but with one really big difference: He doesn’t get to go home at the end of a hard and busy day. The seas have been home for Captain Rick for most of his life. He started sailing as a teenager. Today, at the age of 60, he can show a career as a Captain for 18 years. Communication is extremely important on any ship, but critical on a ship of this size, hence meetings are a large part of Captain Rick’s workday and indeed take up the most of his workday. Captain Rick surprised me with his friendly and uncomplicated way of responding when I asked him how he handles the huge responsibility of taking care of the well-being of 8,800 people for 24 hours per day. Unlike Captain Hook or Captain Ahab, Captain Rick is not the one at the wheel! He is the one who directs a specialized crew which is educated for top positions in the many different aspects that are a part of a cruise ship. Besides a luxurious hotel, there are many restaurants, sports facilities, a power plant, a hospital, shops, the weather station, the computer team, a repair shop, all of the things you see and the things you do not see that are necessary to the proper functioning of this cruise ship. The Captain has to coordinate all of these in the proper way to keep the passengers happy. According to Captain Rick, all of this is done in the daily meetings. This takes a very mature, meticulous and educated person to keep this enterprise going. Captain Rick is certainly that man who is qualified and experienced to run the World’s Largest Cruise Ship! Mango: a sweet investment among a large selection of organic fruits and produce. have been growing, the harvest has gotten bigger and bigger and the annual checks are growing to good size as well! This makes us believe that this is the best investment money can buy! When I want to know what our investment is doing, I can just go to my farm and see and touch my investment. I do not have to listen to one of the many Wall Street artists give me a dissertation about some funny numbers on a piece of paper whose real value cannot be explained! My farm income puts me way beyond 10% cash return every year, which keeps us comfortable and will be a legacy for our kids. 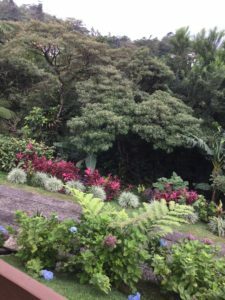 If you are looking for a safe place for your retirement savings that will actually provide a decent income on investment, we can help you to invest in one of these organic farms and actually become one of your neighbors. We re talking about the developer of the largest organic fruit and farm in Central America with distribution centers worldwide! 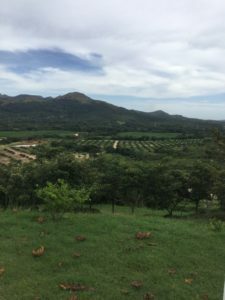 You can get started with $45,000 for a deeded 1 ha (2 1/2 acres) farm in Panama which is a true turnkey operation, generating a large passive annual cash income. We will be happy to send you detailed information on request. 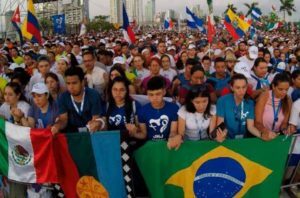 For the past 2 years, Panama has been been anticipating and preparing for a great honor: the visit of Pope Francis to our humble country for the celebration of World Youth Day. Pope Francis arrived in Panama on January 23 at 4:45 at the brand new Terminal 2 of Tocumen International Airport. Improvements to the infrastructure of Panama took on new urgency in the light of this impending extravaganza. The country has been working feverishly to complete Line 2 of the Metro in Panama City–the line which goes to the airport. And Terminal 2 of Tocumen Airport is not even officially open. Pope Francis is actually the first person to arrive at this new terminal which effectively doubles the capacity of the airport for passengers and planes. This event has a huge impact on life in a country as small as Panama. Realize that the total population of Panama is only 4 million, smaller than the population of Atlanta! More than 12 months ago, Metro 2 was elected as the main transportation from the airport into the City. 12 months ago, there was no Metro 2 around, only a huge number of workers moving dirt and pouring concrete between stop-and-go vehicles in the construction zones. Metro 2 is not completed even today, however Metro 2 is able to transport pilgrims for the World Youth Day to and from the airport with approximately 20 trains! Praise the Lord! Panama City will have at least 20% more people than normal to deal with during this event. 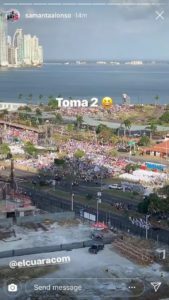 Government offices are closed, as well as many private businesses, to help the traffic situation, since many major arteries are closed due to proximity to stages and centers for activities that are part of this celebration. This will be a huge and impressive celebration of Jesus Christ in a Free World country! In the past few months, Norma and I have learned a lot about a wonderful health supplement that can literally change your life! You have probably heard people talking about it but you may not really understand what all the buzz is about. What is it? What does it do? CLICK HERE to watch a short video that tells about Hemp Oil CBD, how it works and how it helps people. Norma and I began to take the CBD oil for ourselves back in November. Norma was taking it for arthritis in her hands, which had made her right hand so painful, she wasn’t even able to open a new bottle of water or take the lids off jars! Even though that gave her a good reason to keep me around, we were both very happy that, within 4 days of starting to take CBD, the pain in her hand had reduced so much that she was opening her own bottles and jars again. Ibuprophen is a thing of the past in our house. But what we both experienced, and really didn’t expect to experience, was an amazing clarity of thought and renewed mental focus. Though we both feel we were pretty much on top of things mentally, this has raised that to a new level. Recall is vastly improved, though I still don’t remember names of people I don’t know well–I never could! CBD is a neuroprotectant that even helps the brain form new neural pathways. Let that soak in for a minute. If you would like to know more about how CBD can help you, we would invite you to email or call us. We work with a company called CTFO. 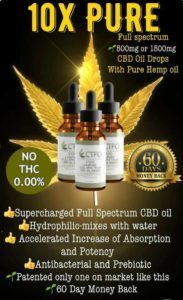 CTFO produces the highest quality certified organic CBD and CBD products. It is shipped directly to you. We receive it in Panama! Til next time We hope you will want to come and see why we love Panama. We welcome your questions and comments on anything we have included here or anything we might have missed. Contact us by commenting on this post or emailing us at fpb@AnAmericanInPanama.org. Be the first to comment on "Symphony of the Seas"